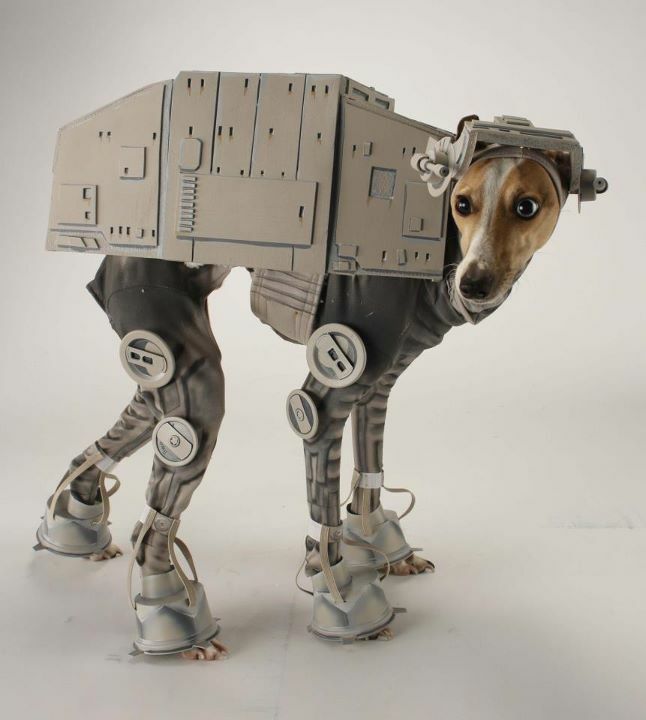 Katie Mello, an artist at the animation studio LAIKA, transformed her dog Bones into a Star Wars AT-AT (All Terrain Armored Transport). 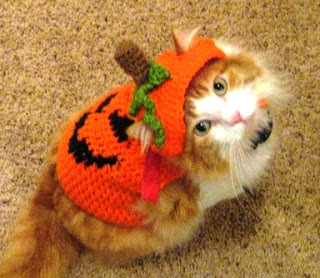 Better not dress up your cat as a shield generator! "That costume's too strong for blasters. Rogue Group, use your harpoons and tow cables. Go for the legs." 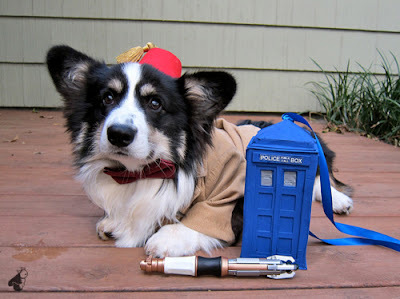 If Doctor Who had a canine doppelganger, I'm pretty sure he'd look like this. While I am not yet a follower of this popular series, this cute little mug may be enough to convince me. 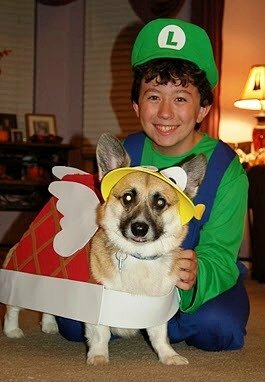 Mario is always a popular subject for geek costumes, so I love how this duo gave homage to the side characters. And is that Koopa Paratroopa wearing foam sheets? I need to remember that sometimes the best costumes don't require skills in sewing (which I sorely lack)! "Don't jump on me or I'll lose my wings!" For more cool geeky costumes, check out this article called Creative Dog Costumes: When Cosplay Isn’t Just For Humans. My favorite one is the white wolf Amaterasu from the video game Okami. Did you dress up your pet(s) for Halloween? Nice selections! The first one is my fave. This dog is so precious and the fact that the costume fits his/her body shape is so funny! I am really impressed with the craftsmanship in the first costume...but the second one, The Dog-tor, made me squeal for at least 5 minutes. Love it! Big fan of Dr. Who. I may have to buy a dog now just to dress it up in that costume. Great post!